There are many different allergens, so in order to determine what is causing your allergy or asthma symptoms, your allergist will perform tests to pinpoint the substance or substances that trigger your allergic reaction. A skin prick/puncture test checks for immediate allergic reactions to as many as 40 or more different substances such as allergy to pollen, dust, pet dander, and foods at once. Uses plastic devices that barely penetrate the skin's surface. In adults, the test is usually done on the forearm. Children may be tested on the upper back. Small marks are drawn on your skin and a drop of allergen extract applied next to each mark. Within 15 to 20 minutes, your skin is observed for signs of allergic reactions. 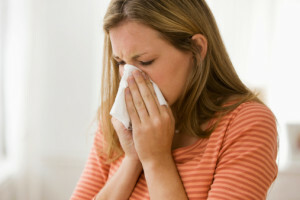 If you have allergies, just a little swelling that looks and feels like a mosquito bite will occur at the site where the allergen(s) to which you are allergic was introduced. The small hives where the tests were done, which will typically go away within 30 to 60 minutes. Patch testing is generally done to see whether a particular substance is causing allergic skin irritation (contact dermatitis). During a patch test, your skin may be exposed to 30 or more extracts of substances that can cause contact dermatitis. These can include latex, medications, fragrances, preservatives, hair dyes, metals and resins. Patch tests can detect delayed allergic reactions, which can take several days to develop. Allergens are applied to patches, which are then placed on your skin. You wear the patches on your arm or back for 48 hours. The patches are removed when you return to your doctor's office. Irritated skin at the patch site may indicate an allergy. When the results of your skin prick/puncture test are not clear, you may need a test that uses a very thin needle to inject a small amount of allergen extract just into the skin on your arm (intradermal test). The injection site is examined after about 15 minutes for signs of an allergic reaction. Your doctor may recommend this test, especially to check for an allergy to insect venom or penicillin. A very small amount of a substance is injected or taken by mouth. Challenges are done mostly with potential food or medication allergies, and for diagnosing asthma. Blood tests are generally used when skin tests might be unsafe or won’t work, such as if you are taking certain medications, or have a skin condition that may interfere with skin testing.